Hi everyone. 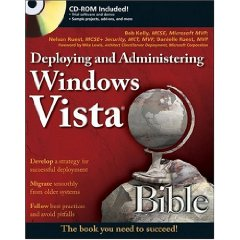 We just received a copy of Deploying and Administering Windows Vista Bible in the mail and it looks awesome. Weâ€™re going to give it away to a lucky listener at next Thursdayâ€™s PowerScripting Live event, so be sure to drop by!